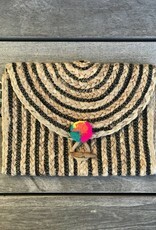 Jute clutch with pompom toggle closure. 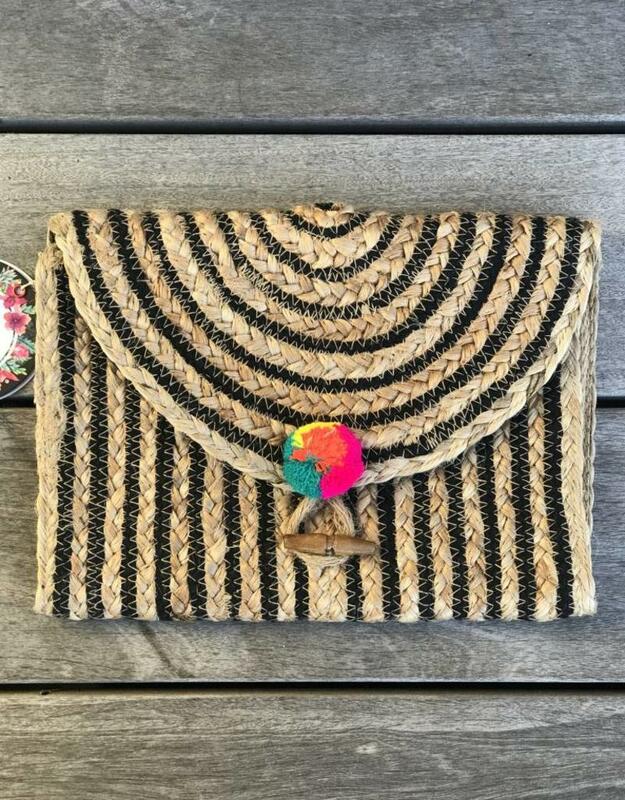 Fully lined and has an interior zipper pocket. Measures approximately 11inches wide by 7 1/2 inches tall. 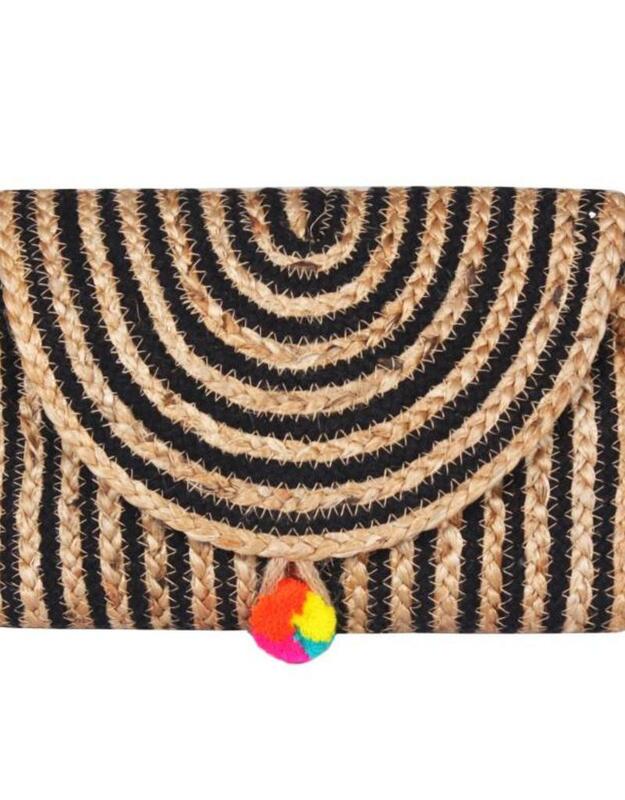 Will fit all your necessities, like phone, wallets, keys, sunnies & more! 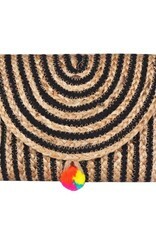 Some imperfections in the weave or coloring is to be expected due to the handmade nature of the clutch!